Total Glass Ltd, based in Liverpool, are celebrating the success of its 31 employees who achieved their GQA level 2 NVQ certificate in the Fabrication of Glass Supporting Structures (QCF) in partnership with Absolute Training Solutions Ltd. Representing nearly 17% of the 185-strong workforce, it’s one of the biggest-ever groups to have gained workplace qualifications in one year at the award-winning uPVC and aluminium fabricator. 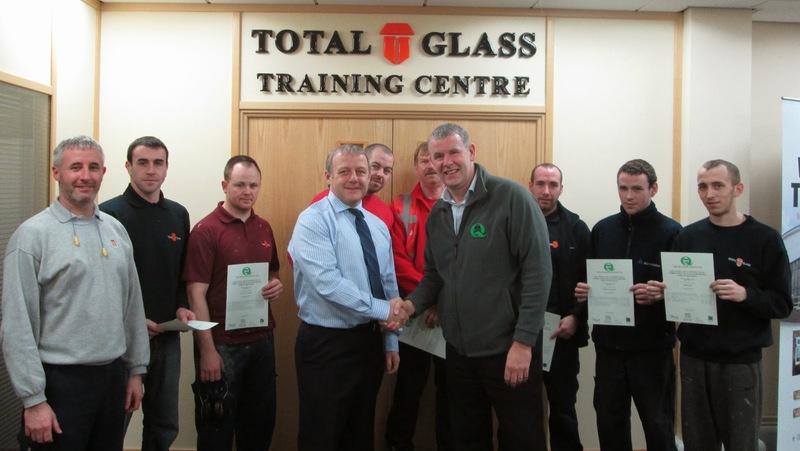 Michael Hurst, HSEQ Manager at Total Glass, explained that two-thirds of the NVQ group were new employees, mostly with previous window industry experience with several having also joined after leaving the Armed Forces. “All, including our existing employees, have shown a strong interest in pursuing these qualifications. Investing in training helps us to stay ahead of the competition through more motivated staff as well as increased productivity and efficiency,” he added. However, this success would not have happened if it wasn’t for two GQA Approved Centres working together. 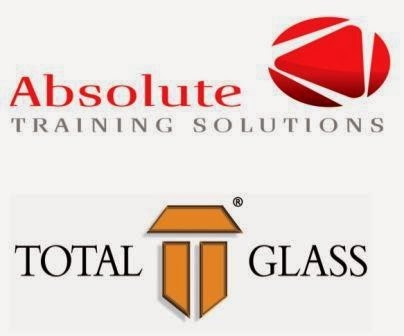 Due to the collapse of Absolute Training Solutions’ funding provider, over 100 Learners (including the 31 employees at Total Glass Ltd) were unable to continue with their GQA qualifications until a new SFA registered provider took over the existing contract. Luckily for the candidates, The Vocational College (who are very experienced in taking over SFA contracts from troubled providers) and Absolute Training Solutions Ltd (who were the main subcontractor to the collapsed provider) were able to work together to ensure that all candidates had the opportunity to continue assessment and go on to achieve their qualifications.